These 3-star Nairobi hotels offer value for money by offering great service and amenities that you’d normally find in luxury hotels. They are also close to key attraction in Nairobi, the city centre and the airport. If you are looking for more opulence, see the best 4-star hotels in Nairobi and the best 5-star hotels in Nairobi. Meridian Hotel has rooms with a modern décor and King or twin beds in Superior rooms, Studio rooms, Executive rooms and Family 3 bedded rooms. The 3-star Nairobi hotel also offers central air-conditioning, free Wi-Fi, digital safe, LCD Flat screen Satellite TV, complimentary tea/coffee making facilities, minibar, 24 hrs room service and laundry facility. Special Offer: Hennessis Hotel – 3-star Hotel in Nairobi up to 29% off! Other facilities available at the hotel are: a restaurant, bar, beauty parlour and spa, gym, rooftop swimming pool and conferencing facilities. Meridian Hotel Nairobi is situated 19.2 km from Jomo Kenyatta International Airport on Murang’a Road Off Moi Avenue. Monarch Hotel offers 44 rooms and suites categorised as Executive Suites, Standard Rooms, Deluxe Rooms and Executive Twin. They feature separate shower and bathroom, air conditioning, free Wi-Fi, Satellite LED TV, direct dial telephone, electronic safe and tea and coffee making facilities. The Nairobi hotel also features meeting and banqueting facilities that can cater for up to 150 guests, roof top lounge, restaurant and gym. 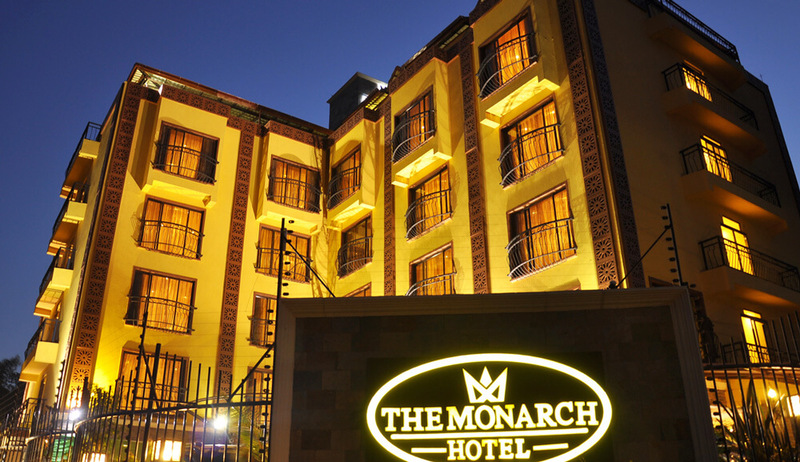 Monarch Hotel is situated 20.1 km from Jomo Kenyatta International Airport (NBO) on Rose Avenue, Kilimani Area Off Argwings Kodhek, Nairobi. Town Lodge Upper Hill Nairobi is ideal for a business trip and for those intending to take a safari. The hotel offers easy access to the CBD, free Wi-Fi, a gym, a mini business centre, excellent breakfast and evening bar service facilities. The Nairobi hotel also offers M-Net, Movie Magic and various Super Sport channels, accessible power sockets catering for devices from several continents, coffee making facilities, complimentary bottle of mineral water and electronic safe. Guests at Town Lodge Upper Hill Nairobi can make use of the facilities of the nearby Fairview Hotel (one of the top 4-star hotels in Nairobi), which include 4 restaurants and a beautiful outdoor swimming pool. Town Lodge Upper Hill Nairobi is situated 17.5 km from the JKIA along 2nd Ngong Avenue, Upper Hill Nairobi. Silver Springs Hotel Nairobi amenities cater towards business travellers, leisure travellers and families. 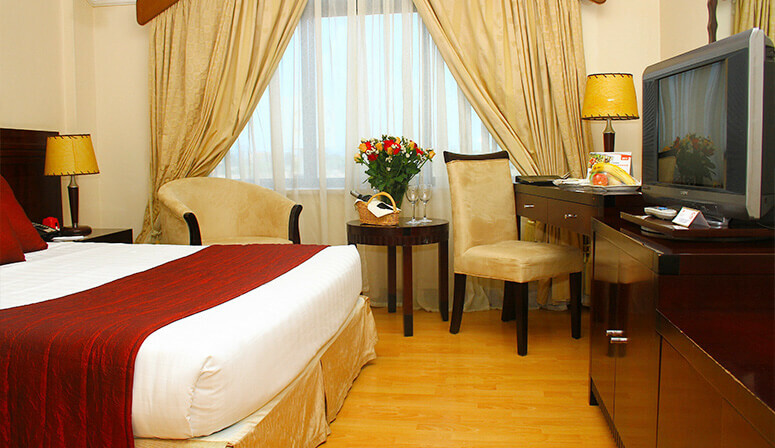 The 3-star Nairobi hotel offers 160 rooms categorised as Standard, Superior, Deluxe and Executive. 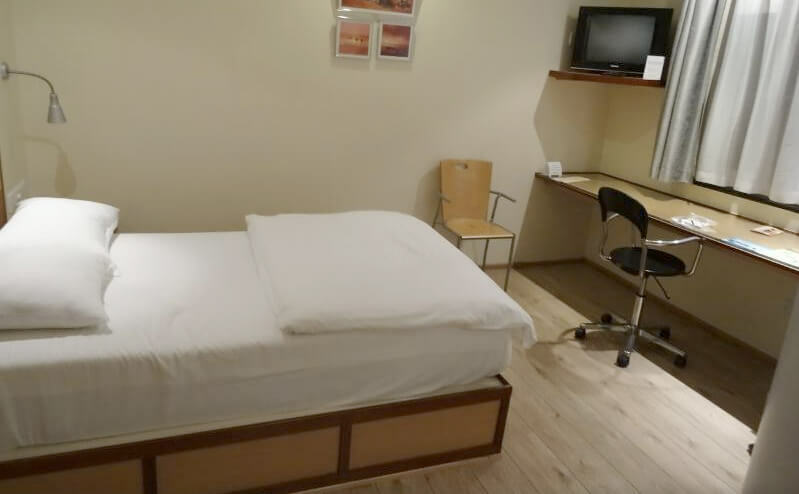 Facilities include air-condition, free Wi-Fi, Flat screen satellite TV, in-room safe, direct dial phone, tea/coffee maker, hair dryer and 24 hours room service. Silver Springs Hotel Nairobi also features an outdoor swimming pool, a restaurant, bar, spa and gym. Silver Springs Hotel Nairobi is within reach of key Nairobi attractions such as Nairobi National Park, Kenya National Museum and Karen Blixen Museum. The hotel is located 3 km from the city centre and 18.7 km from the JKIA in Hurlingham at Argwings Kodhek and Valley Road roundabout. 67 Airport Hotel is a good choice if you want to stay close to the Jomo Kenyatta International Airport. 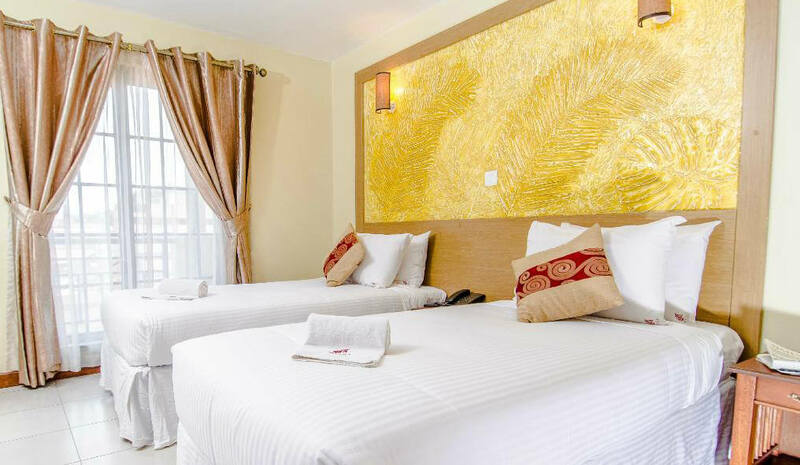 The 3-star Nairobi hotel can accommodate about 100 guests and offers air-condition, free Wi-Fi, tea/coffee making facilities and in-room electronic safe. The hotel also offers a restaurant serving local and international cuisine, a roof top lounge and conferencing facilities. 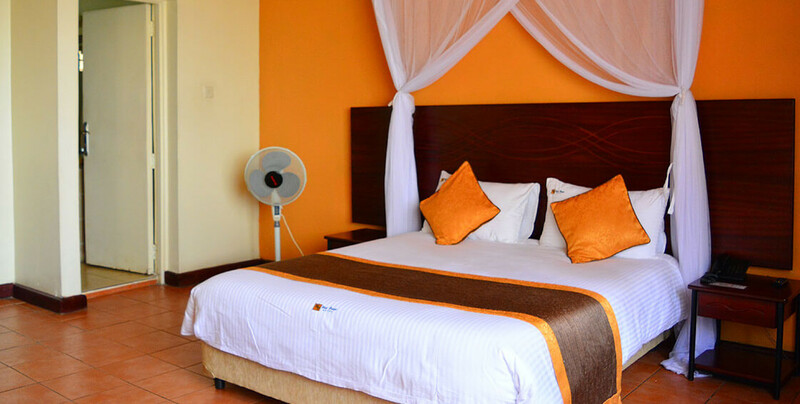 67 Airport Hotel is situated 7-minute drive or 6 km from Jomo Kenyatta International Airport. Ngong Hills Hotel is an urban oasis of comfort and calm close to the centre of the vivacious capital of Kenya, Nairobi. The hotel offers 110 rooms and suites equipped with a mini bar, complimentary Wi-Fi, a desk, a telephone, 32-inch LCD TV with local and international channels, hair dryer and free toiletries. The Nairobi hotel also offers meetings and events venues, tea/coffee making facilities, in-room safe and a small gym. Ngong Hills Hotel is located 20.3 km from Jomo Kenyatta International Airport Opposite Bishop Magua Centre, Ngong Road, Nairobi, Kenya. Boma Inn Nairobi offer 58 exquisitely furnished rooms with free Wi-Fi, air conditioner, hair drier, electronic safe, tea/coffee maker, electronic mosquito repellants, mosquito nets on request, satellite television with over 20 channels, electronic key locks, wakeup call system, mini bar and personalized service. The 3-star Nairobi hotel also offers 2 restaurants that cater for the various discerning tastes while offering indoor as well as al fresco dining experiences, conferencing facilities, steam and sauna, gym and a swimming pool. Boma Inn Nairobi is situated 13.3 km from JKIA along Red Cross Road (off Popo Road, off Mombasa Road) Bellevue – Nairobi, Kenya. Mvuli Suites’s amenities cater towards the needs of the business and leisure travellers on transit or layover. The 3-star Nairobi Hotel has 74 well-appointed hotel suits. Each room has a hot water shower, satellite TV, complimentary Wi-Fi, reading desk, safety deposit box and a direct dial telephone. The Nairobi hotel also features a restaurant serving a blend of both African and Western cuisines, 24 hour room service, laundry service and 2 conference rooms that can cater for meetings of up to 40 people in a U-shape arrangement or 100 delegates in theater style setup and 60 delegates in a banquet style. Mvuli Suites is situated 5-minute walk from the city centre and 20 km from Jomo Kenyatta International Airport along Kipande Road. West breeze Hotel seeks to give both the leisure and business traveller a relaxing home-away-from-home atmosphere. It features contemporary African furniture and fittings with original artworks framed in recycled timber. The 3-star Nairobi Hotel offers 26 rooms with king size bed, a private bathroom, a safety deposit box, complimentary Wi-Fi and a television. The hotel also features a bar and restaurant, 24 hour reception and room service, conferencing facilities and a massage parlour. West breeze Hotel is located 16.5 km from Jomo Kenyatta International Airport (NBO) along Masaba Road Off Bunyala Road Upperhill Nairobi. 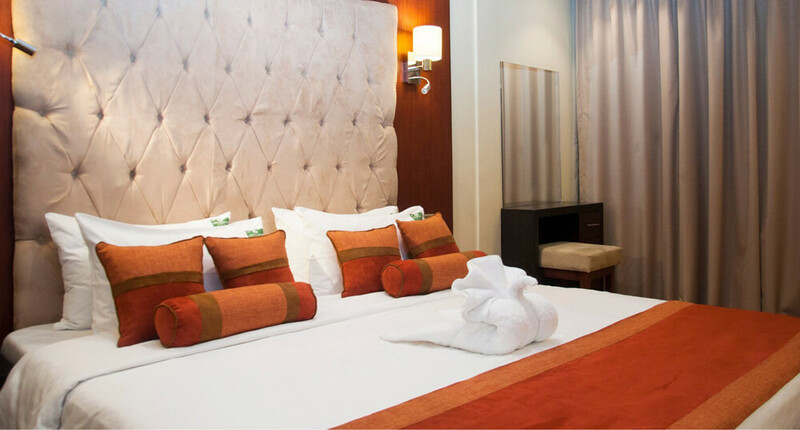 Among the top 3-star hotels in Nairobi that are within the city centre, Marble Arch Hotel offers you spacious and tastefully furnished rooms to give you a quiet and comfortable stay right in the heart of Kenya’s capital, Nairobi. The hotel features 41 rooms with satellite TV, direct dial phone, free Wi-Fi, bath tab and shower, tea/coffee making facilities (on request), balcony (front facing rooms) and a working desk. The Nairobi hotel also offers conference rooms able to accommodate up to 100 guests, a restaurant serving local and continental dishes, a bar and lounge. 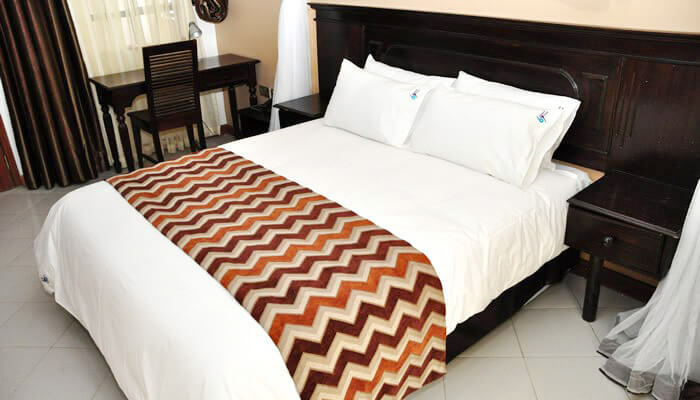 Marble Arch Hotel is situated 13 km from the JKIA on Lagos Road.